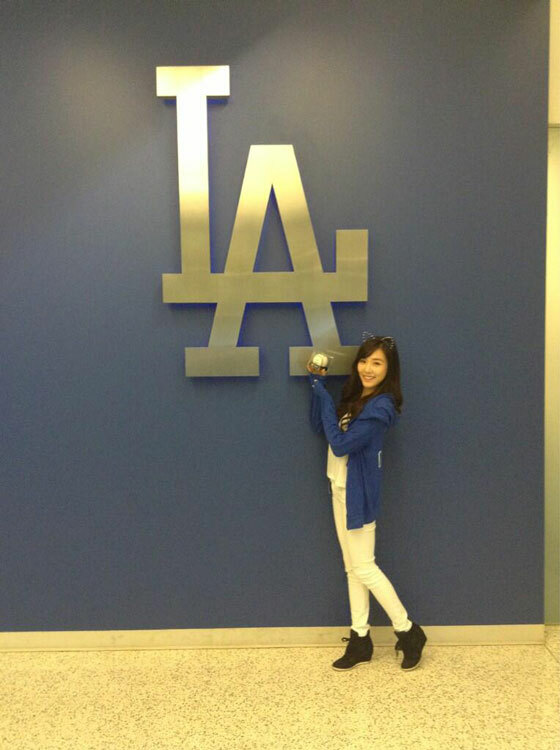 Official Twitter pics and videos of Tiffany visiting the Dodger Stadium for a ceremonial first pitch on May 6. Updated with press photos of the pitching in action. 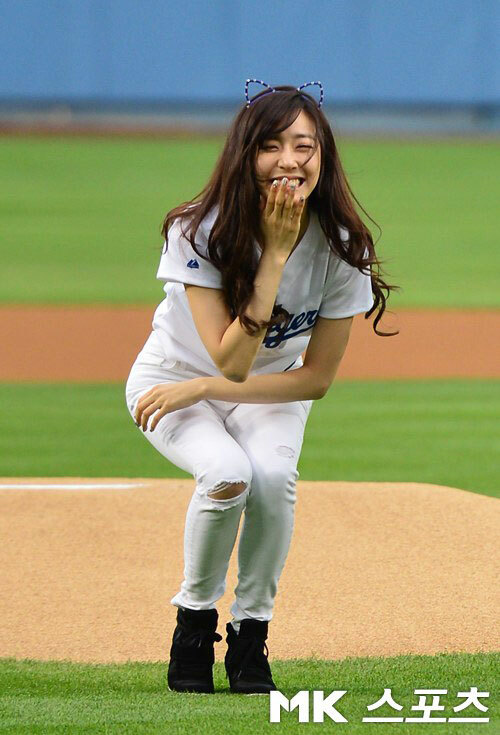 Below are short videos with Korean pitcher Ryu Hyun-jin (pic above is outfielder Matt Kemp) and her “amazing” pitch, a bit better than Jessica’s lol. Below are some press photos, a bit small but really cute.